As I continue through my training in Narrative Coaching, I frequently find myself reflecting on individual phrases used in the instruction, long after class has ended. One such recent prompt was the idea of coaching as a rite of passage. A rite of passage is typically defined as a major event, signaling the transition from one phase of life to another. For example, high school graduation is viewed as a rite of passage from childhood to adulthood. A wedding, a birth or a death is a major rite of passage as the makeup of the family is forever changed. Rites of passage usually involve ritual activities and teachings designed to strip individuals of their original roles and prepare them for new roles. 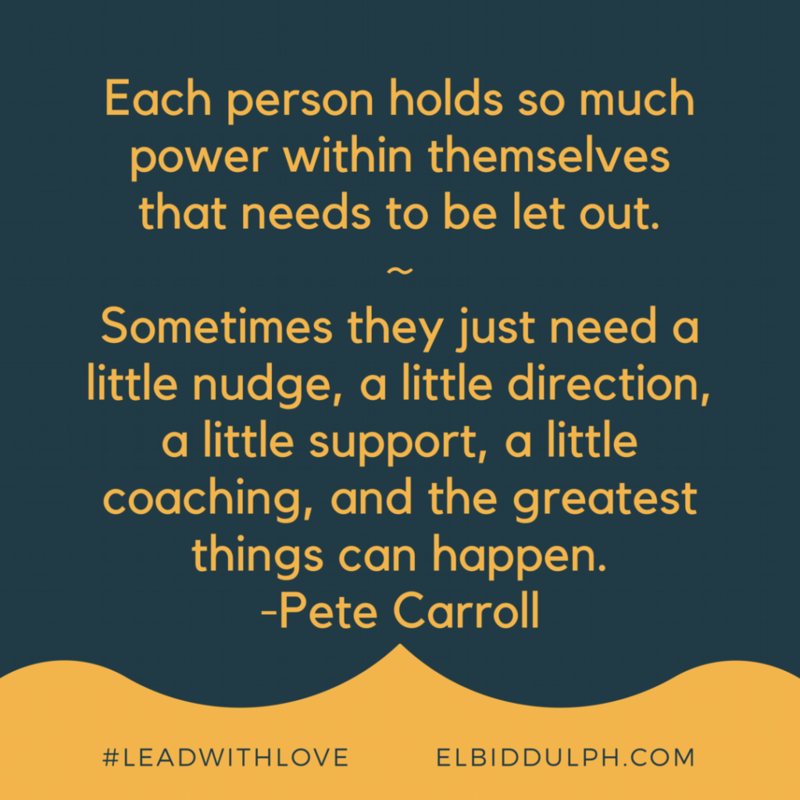 If we think about our coaching activities as leaders, isn’t that what we try to do, too? We are guiding another person through a process of change, helping to prepare her for a new or enhanced role. Or, we are helping a team member strip away old habits to make room for more effective ones. Whatever the circumstance around our coaching relationships, we are there to guide, prompt, prepare and otherwise support the individual through a change forward. What an honor to for us to encourage and observe that transformation! Now, think about the role we play as coaching leaders. We stand as a witness to the growth and development of the people we lead. We are facilitators of honest examination and reflection. We are accountability partners for commitments made. We are the beacon of hope as a person works through his unique challenges. We are there when she needs a push, a pull or simply a steadying hand to lean on. Coaching, the verb, is indeed a rite of passage along the path of personal and professional development. Being a coach, the noun, is a privilege and opportunity for each of us leaders.